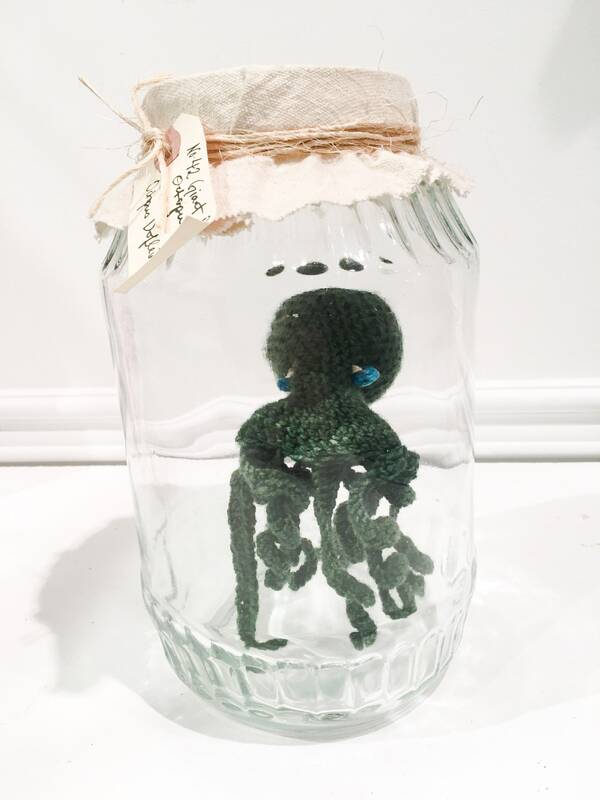 A snuggly companion for collectors of the strange and unusual. 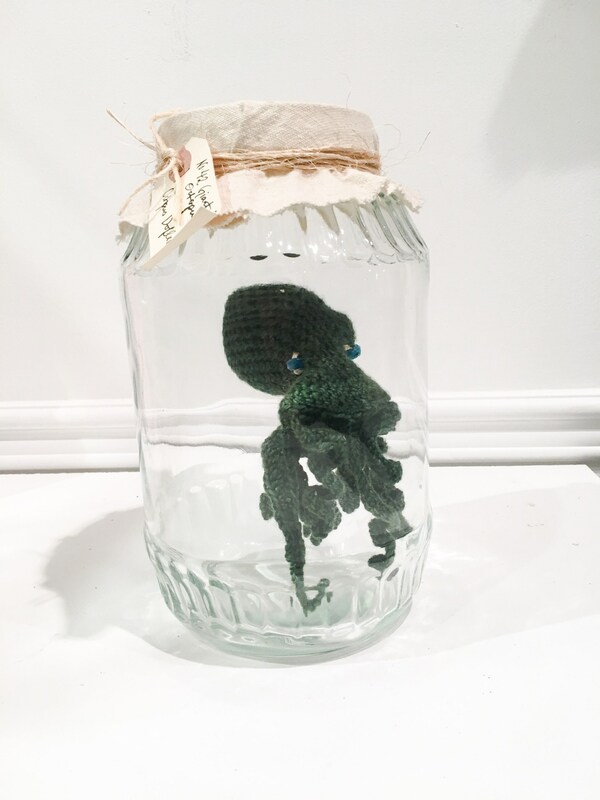 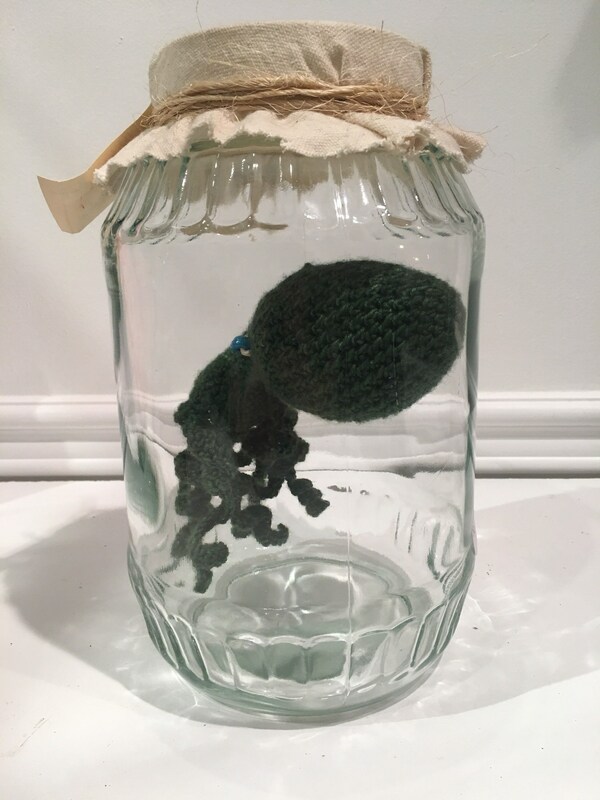 This little guy is crochet from beautiful Ontario wool and mounted for your enjoyment in a large faceted glass jar. 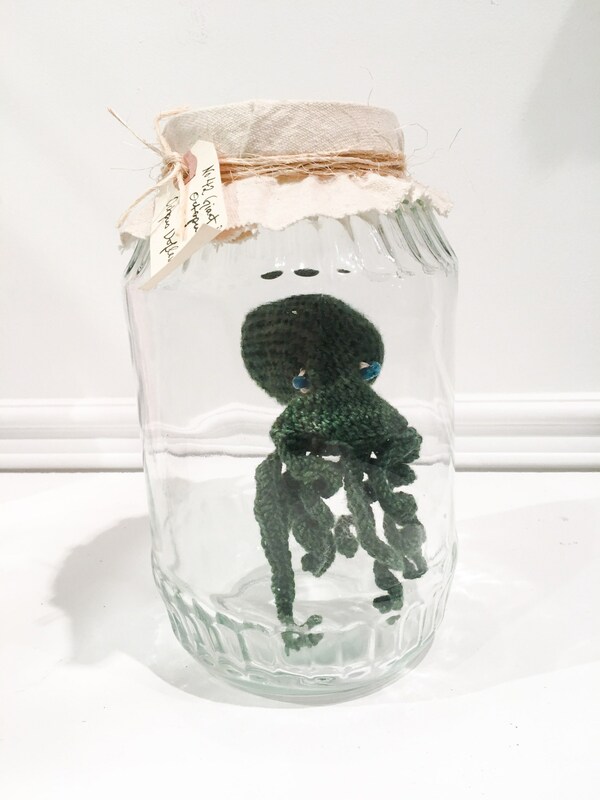 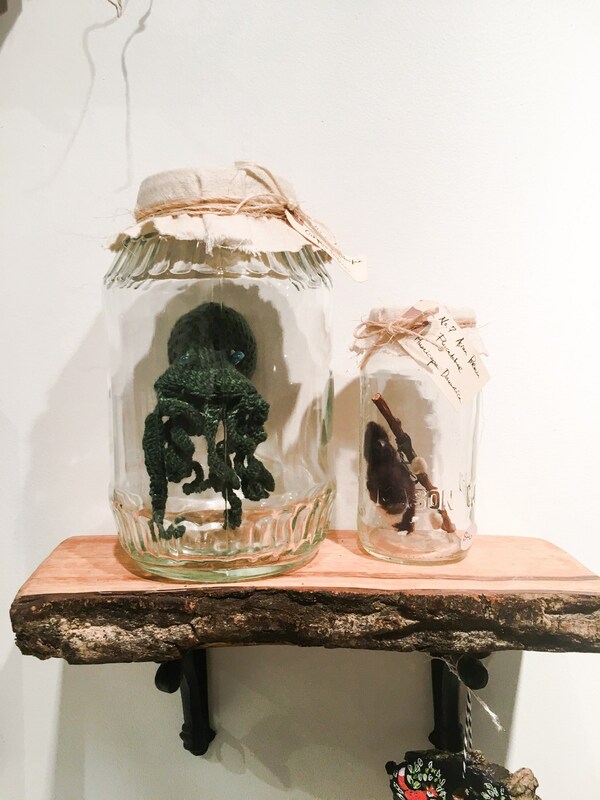 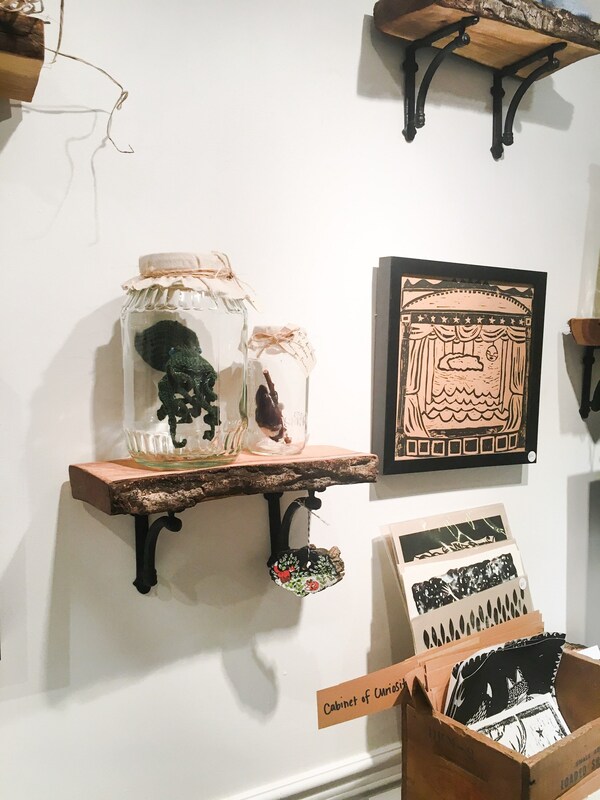 His beaty little eyes are made of blue glass, and he can't wait to find his place in your cabinet of curiosities, or your little one's room.